Uses: Bible Study, Church, Fellowship Hall, Religious Colors: Walnut Lengths: 9 panel 16'-9" Heights: 6'-0"
AWANA consists of kids running around, having fun and learning about the Lord. With all that excitement, having adequate space for all the small groups of students takes time and plenty of coordination. An AWANA room divider by Screenflex is a perfect solution to dividing space with ease. 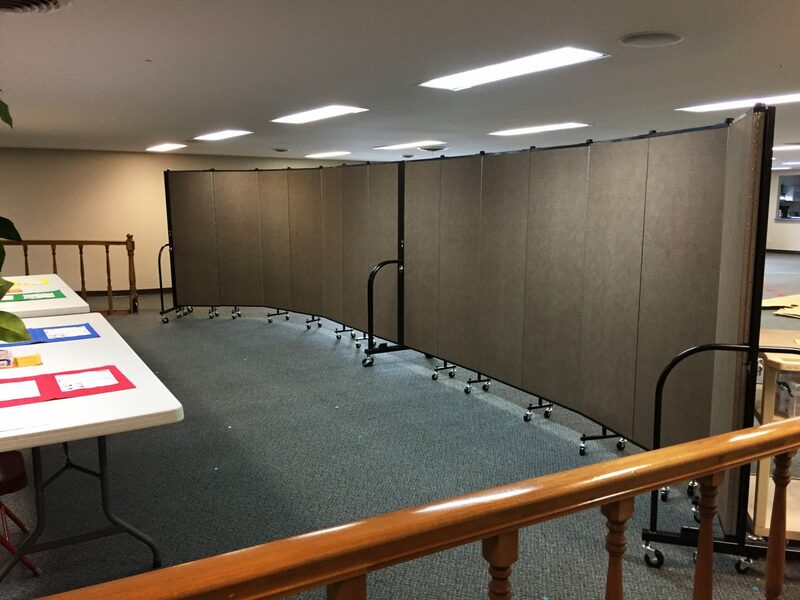 As seen in this image, folding partition walls are used to separate the AWANA registration table from a bible time room. The walls eliminate distractions and provide the space they desire and require.